Tripura, a small hilly state in north-east India, one of the sister of the north-east seven sister. 3rd smallest state in India covering 10,491.69 sq. km. (4051 sq mi) Approx. 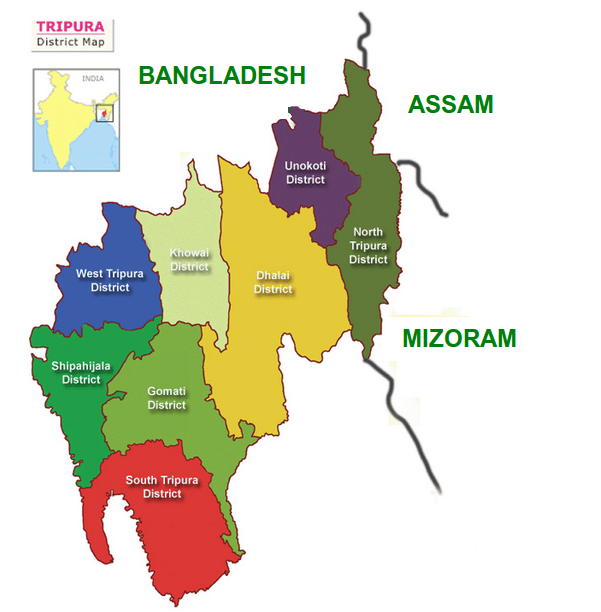 Bordered by Bangladesh in three sides(North, South, West) and in other side by Indian states Assam and Mizoram. Connected to other state of India through Assam and Mizoram.